Growing up in Canada, I’ve had the good fortune of being exposed to both English and French throughout my life. 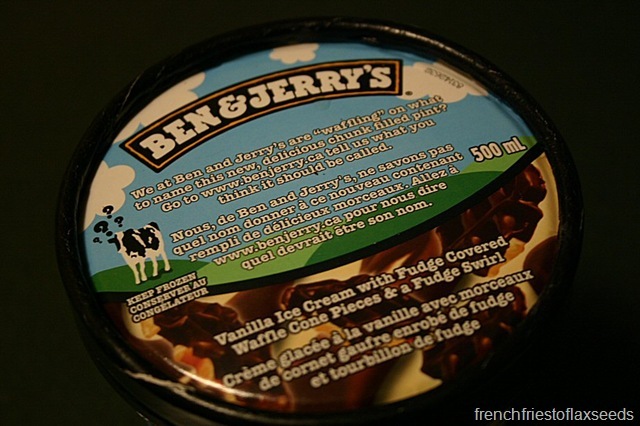 Like on our food packages – all labelled in French and English. My French vocabulary is probably dominated by food words. Some of my favourites – le pamplemousse, la guimauve, la pomme de terre (do you know what they all are?). We always joke that we learned French from reading the back of the cereal box at breakfast. 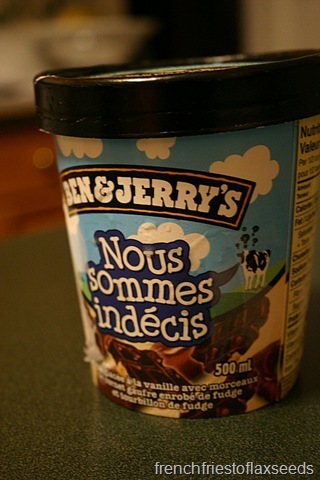 I picked up this flavour of Ben & Jerry’s recently. We Are Waffling – Vanilla Ice Cream with Fudge Covered Waffle Cone Pieces and a Fudge Swirl. 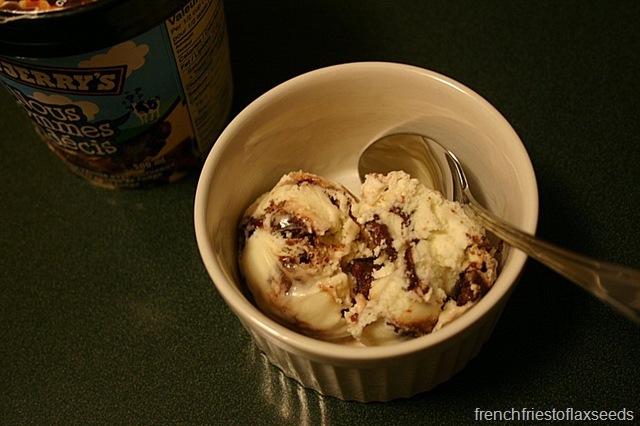 But as I was enjoying my scoop of ice creamy goodness, I wondered…what do they call it in French? Nous sommes indécis – We’re undecided. A little too literal. A clever play on words that just gets lost in translation. i’m kind of obsessed with translations (maybe i should have done that as a career….it is apparently quite lucrative) and feel lucky to be exposed to lots of different languages in canada. i wrote a paper for my OAC english class on linguistics and translation of ideas and how you can never really properly translate anything completely. 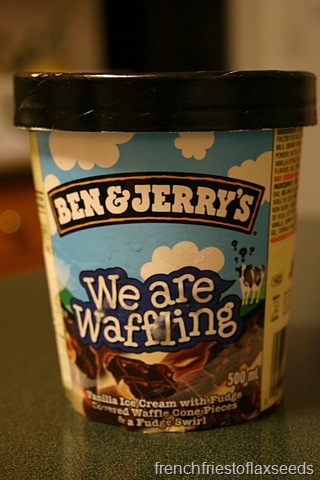 ben and jerry puns are an obvious problem. also, i wonder about poetry. i loved studying french poetry once i could understand the words without just going through direct/literal translation (because that obviously ruins it), but i also wonder about all the other things we read in literature that were originally done in another language and how much of the essence that the writer intended are we missing out on. It reminds me of when I used to purchase candy at the Asian market and there were funny translated phrases on the boxes, like “What is doing?” LOL!